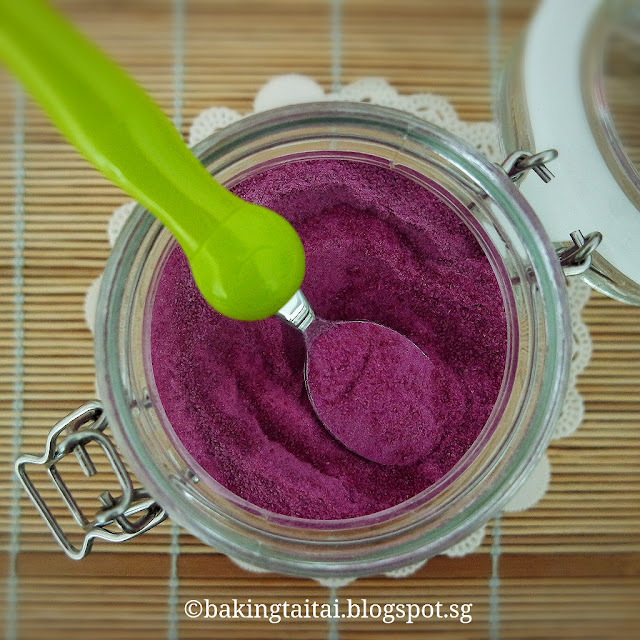 It is not difficult to make your own fruit or vegetable powder at home. I am one home baker who avoids using unhealthy artificial colorings or artificial ingredients in my food preparation and advocates using healthy, natural and premium ingredients. 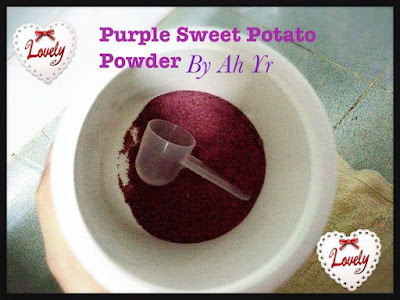 Hence, to achieve my favorite color purple, I have made a pot of purple sweet potato powder which can be used for making bread, cookies, macarons, mooncakes, cakes etc. 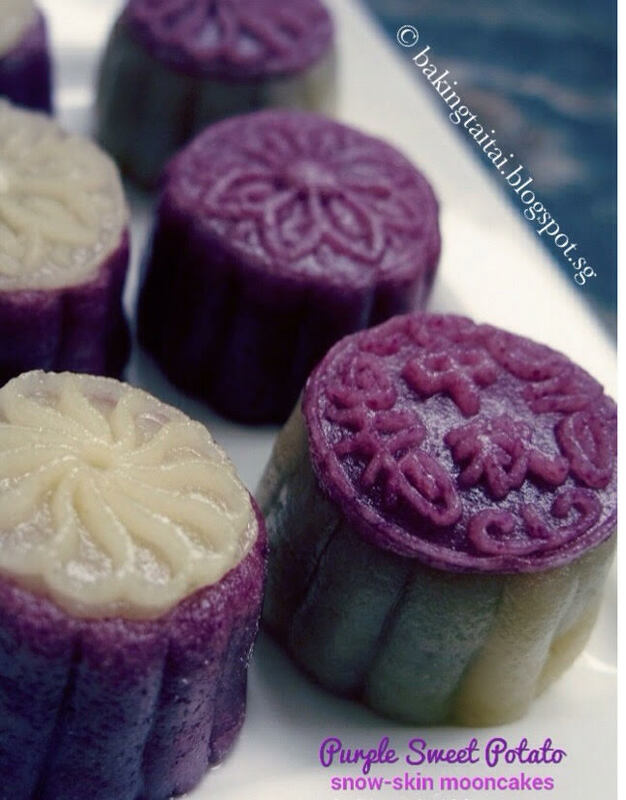 This afternoon, I have used my homemade purple sweet potato powder to make these healthy snow-skin mooncakes (no shortening) which I will share in my next post. Click 'HERE' for updated recipe. 1. Wash & scrub the purple sweet potatoes clean. 2. Steam with skin for about 30~35 minutes till soft. 3. 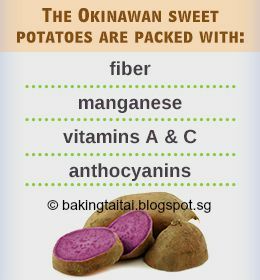 After the purple sweet potatoes are steamed soft, peel off the skin and use a fork to mash it up. 4. 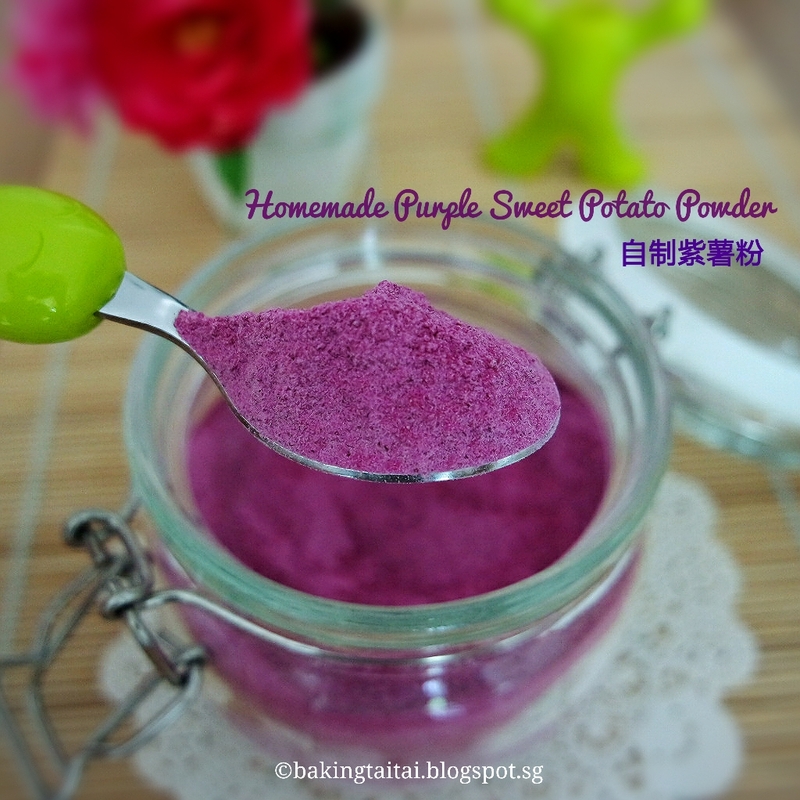 Use a spoon to spread the mashed purple sweet potato very thinly onto a non-stick baking paper. 6. When the purple mashed potatoes become crisp paper-like and is easy to peel off the non-stick baking paper, it is done. 7. Put it into a food processor and grind it to a powder form. 8. Pour it into a sieve. Re-grind those that did not pass through it and grind till it becomes powder form. 9. Store in a clear glass container in room temperature (away from sunlight, heat and moisture) for 3~4 months. Sharing Ah Yr's purple sweet potato powder using this recipe. Great recipe! Can we do the same for pumpkin and strawberries? Beautiful natural colour. Love it. Hi Happy Baker, yes the same method can be applied to pumpkin and strawberries. 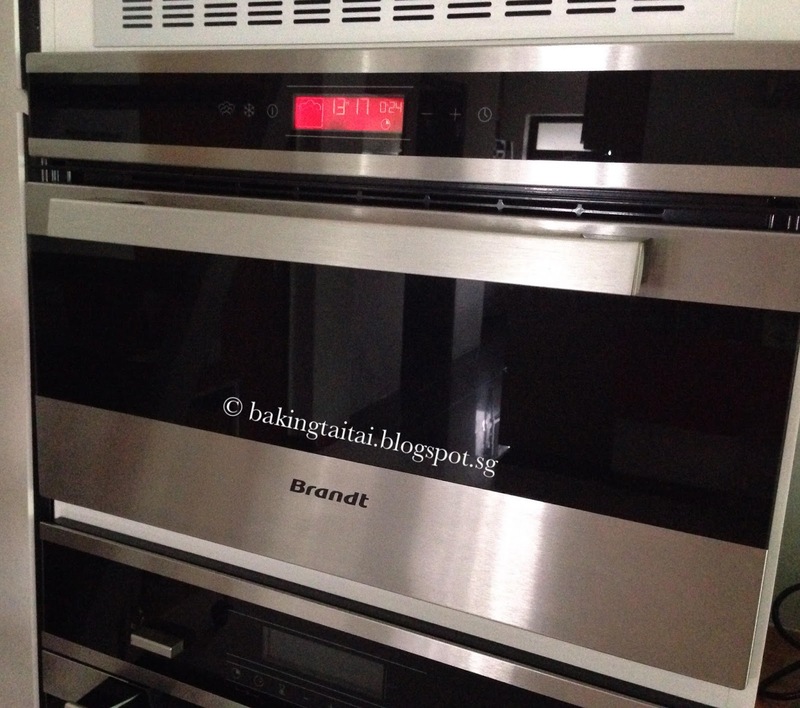 :) Do note that for strawberries, it will take a longer time to bake dry as it has a higher moisture content. amazing, I don't bake, but I like to read about different cooking methods. Thank you for sharing this amazing recipe, Cheryl. I would definitely want to try this recipe! Hi. Was wondering if i use food dehydrator, will it works? Thanks Cheryl, what about beet root for red coloring for bakes like red velvet cupcakes? 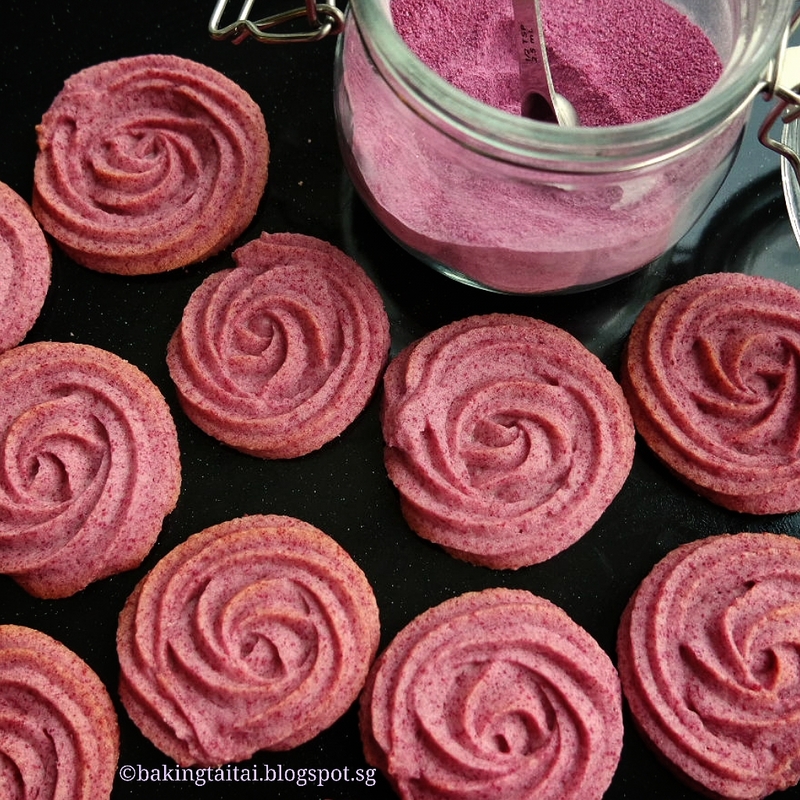 Hi Geo, yes beet root can be done in the same way but do take note that it has a higher water content thus to make the same amount of powder, more is required and it will definitely take a much longer time to bake away the moisture. Can steam without the skin?